Google’s smart wireless charger turns your Pixel 3 into a Home Hub, but are the Pixel Stand’s extra features worth such a steep price? Wireless charging is certainly nothing new. 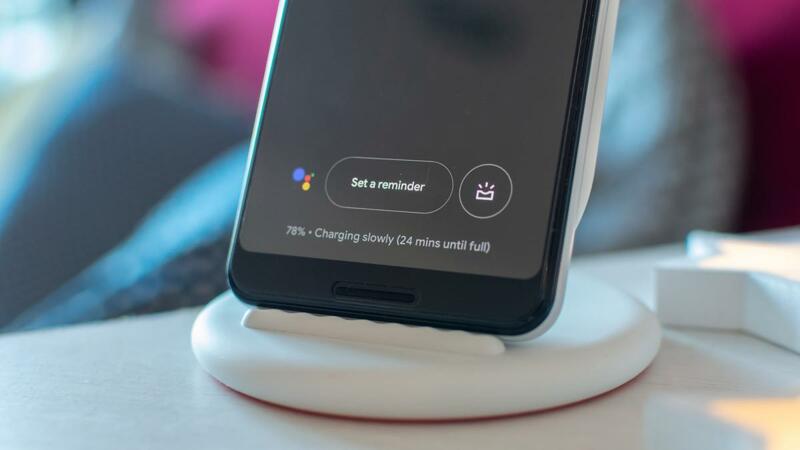 Most flagship smartphones are fitted with this battery-boosting technology these days, and in fact both the Pixel 3 and Pixel 3 XL aren’t even the first Google-branded phones to feature wireless charging. But, what good is a phone that charges wirelessly without a decent charger to put it on? That’s Google’s thinking with the Pixel Stand. A vertical wireless charger that’s smarter than most, the Pixel Stand has a few tricks up its sleeve beyond just charging your brand-new Pixel 3. The plain-looking Pixel Stand is a small wireless charger built specifically for both the Pixel 3 and Pixel 3 XL. 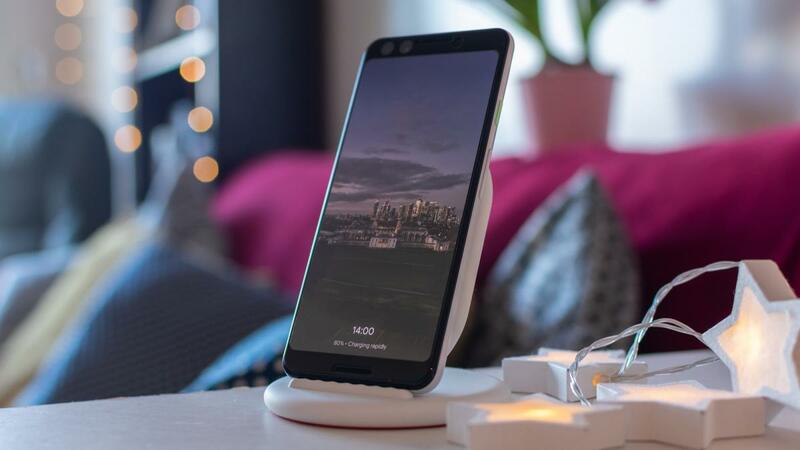 This 10-watt stand uses Google’s proprietary charging technology and is capable of topping up your Pixel 3’s battery levels from zero to around 40% with just 30 minutes of charging. You don’t even need to remove your phone’s case every time you use it. However, it also supports Qi wireless charging speeds at a not-so-speedy 5 watts. What this means is that the Pixel Stand is capable of charging non-Google phones, at a slightly slower rate, so long as they support wireless charging. My Huawei Mate 20 Pro took roughly twice as long to reach the same battery percentage, for example. But, much like the Show Mode Charging Dock for the Amazon Fire HD 8 tablet, it also turns your Pixel 3 or Pixel 3 XL into a semi-smart screen. In Amazon’s case, that was a cheap Echo Show, but in Google’s case, it’s a slightly cheaper version of the Google Home Hub. Simply ask Google Assistant some questions, get it to play music (complete with album art and on-screen controls) or receive an at-a-glance view of your daily activities. That may sound less useful than Amazon’s integration on the surface of things – after all, you tend to carry a phone around with you more than a tablet – but it has some neat tricks up its sleeve. As well as charging the Pixel 3, it also displays the time, notifications (although you can enable a “Do Not Disturb” mode) and pictures from Google Photos. It will even show who’s at the door if it’s connected to a Nest Hello camera. Perhaps most pleasing of all is that it also works as a smart alarm clock overnight. The screen goes black when you go to sleep and slowly brightens to a yellow sunrise as your alarm goes off, naturally filling the room with light and saving you the trauma of an abrupt wake-up call. All of these features are actually quite lovely, but the experience isn’t flawless. Even though your Pixel 3 can be placed on the stand in landscape mode, the user interface doesn’t actually support the sideways orientation. The images from your chosen Google Photos album, for instance, are displayed on their side. The Pixel Stand’s smart home connectivity is also rather limited. The Nest Hello is the only supported device at the moment, which is great if you want to see who’s at your door, but it would have been nice to be able to control the temperature of your home or the colour of your light bulbs from your bedside table. If you’re after a more fleshed-out central hub that allows you to control all of your smart-connected devices from one place, then the Google Home Hub is a much better purchase. The £139 screen-friendly smart speaker can control all of your inter-connected smart devices at once. That said, I actually think the Pixel Stand’s £69 asking price is rather-well justified, despite thinking otherwise prior to writing this review. Some bog-standard wireless chargers from Belkin, Anker and Mophie cost just as much, and they don’t include any of these extra features. Still, if you don’t have a Pixel 3, or aren’t too fussed about the smart features that come with the Pixel Stand, you can save a bit of money on a cheaper wireless charger. The RAVpower charging stand, for instance, is very similar in terms of design, outputs at 10W and only costs £17. Despite its high asking price and a couple of minor issues, I still think the Pixel Stand is a worthy accompaniment to your Pixel 3. It does a heck of a lot more than most wireless chargers on the market and its included smart features, while perhaps a little limiting, are well worth the price of admission on their own.